Edmonton Therapist: Shift Psychological - Therapist T5N 1R7. Send A Message To Shift Psychological. Our method is steeped in scientifically proven modalities. We utilize a combination of effective techniques from Cognitive Behavioural Therapy (CBT), Bilateral Stimulation. CBT is an accepted theory for many presenting concerns in therapy. It is intended to change and reframe people’s negative thoughts, beliefs and behaviours to positive thoughts, beliefs and behaviours. By recognizing the connected limiting beliefs and the behaviours, thoughts and cognitions that are associated with the belief our clients get an accurate view of some of the obstacles they have been trying to overcome for years. Generally, the symptoms that they present within an intake session are linked to one or more limiting beliefs. Once a limiting belief can be eliminated then the maladaptive behaviours, thoughts and cognitions can be eliminated through Bilateral Stimulation. Andrea McTague is a Shift innovator and uber passionate about practising psychology from a non-pathologizing stance but when she’s not up to that you can find her practising Krav Maga, latin dancing or cooking up some serious eats. Come to see her at Shift Psychological! Like all Shift Psychologists, Dr Lindsay Sewall is trained in the Shift Protocol, which is the highly effective blending of two well-researched approaches: Cognitive Behavioural Therapy (CBT) and Bilateral Stimulation. She also has experience in mindfulness, solution-focused, and Acceptance and Commitment Therapy techniques. She completed her PhD at the University of Saskatchewan where she was captivated by her research on the treatment of psychopathic sexual offenders. Lindsay brings enthusiasm, warmth, openness, and a dash of humour to establish a nonjudgmental therapeutic relationship, where clients are able to explore where they may be feeling stuck, develop new adaptive strategies, and create a more fulfilling life. In the past, she has taken a collaborative approach when working with individuals, couples, groups, and students of all ages across the hospital, rural clinics, and forensic mental health settings. 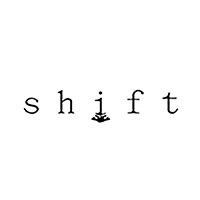 The Shift Show, we are on a mission to make the world of psychology approachable, easy to understand, and (*gasp*) enjoyable. Join us as we break things down, without all the psychobabble.